Today Roche Diagnostics announced the launch of the new Roche CoaguChek® INRange, the first Bluetooth enabled INR home monitoring device. 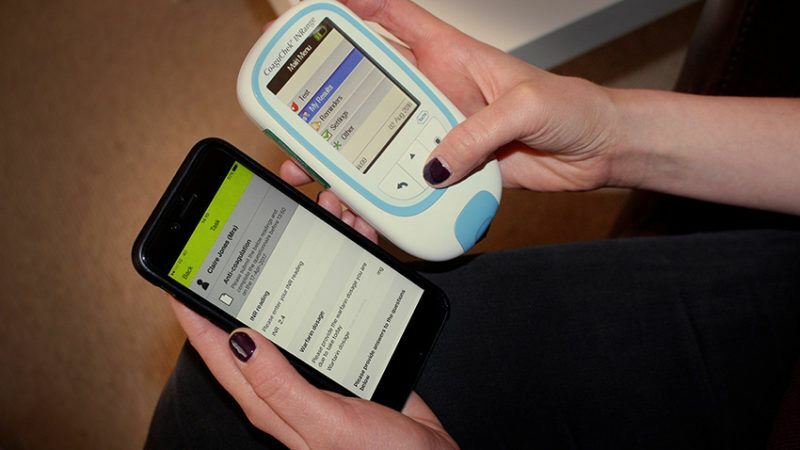 The new technology partners our patient app My Inhealthcare, which allows INR readings to run seamlessly through dosing software and the correct warfarin dose to be sent back to the patient. What does this mean for the warfarin self-testing service? The use of Bluetooth will make it more efficient for patients who will now no longer need to enter their readings manually. How do patients download the My Inhealthcare app? The app is available on both the App Store and Google Play and is free for patients to download. What if patients do not feel confident using an app to relay readings back to the clinic? Patients who are less confident with technology can opt to use the service using an automated telephone call, a web portal or SMS to send their readings to the clinician. Inhealthcare’s warfarin self-testing service gives patients choice, maximizing engagement, convenience and widespread adoption of the service. Where is self-testing available in the UK? Currently, our warfarin self-testing service is available to patients in Wigan, Bracknell and Ascot, Durham and Darlington, Ilkley, the Isle of Wight and Kent.